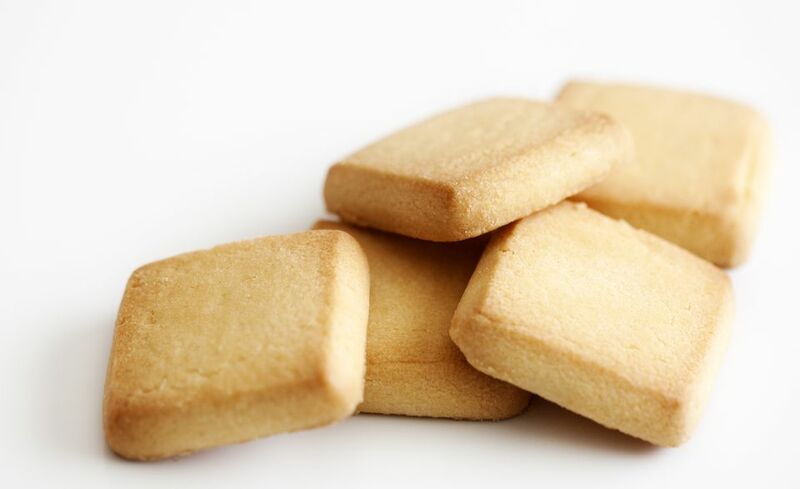 Gluten-free vanilla wafers are easy to make and buttery good. This simple recipe calls for basic ingredients, a real plus when you crave a classic cookie! This gluten-free recipe was adapted from a recipe which appears in the cookbook Gifts from the Kitchen, "Madeleines," published by Love Food. Combine eggs and sugar in a large mixing bowl and beat on high until creamy, about 3 minutes. Add vanilla, lemon peel, and salt and beat to combine. Gradually add gluten-free flour and beat just until combined. Slowly drizzle melted butter into the mixture and beat until combined. Drop dough by heaping rounded teaspoons onto prepared baking sheets, leaving about 11/2-inch space between cookies. Dip a small drinking glass in the extra sugar and gently press down on each cookie. Bake in preheated oven for about 12 to 15 minutes or until the cookies are golden brown and crispy. Cool. Note: If your gluten-free flour mix does not contain xanthan gum or guar gum, add 1/4 teaspoon of your favorite gum to this recipe.